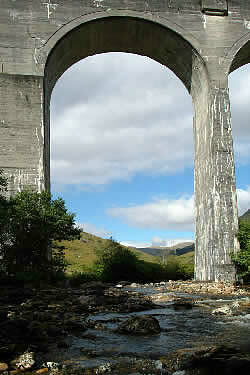 Glenfinnan Estate is located 17 miles West of Fort William on the A830 Road to the Isles. By Road: Take the A82 from Glasgow North or the A82 from Inverness South West. At the traffic lights on the Northern outskirts of Fort William turn onto the A830 Road to the Isles. Follow this for 15 miles through Corpach and Kinlocheil and on to Glenfinnan. Just after the National Trust Centre turn Right up the Private Estate Road. For more directions visit the AA website. By Plane: The nearest airport is Inverness although Glasgow is a useful alternative. Car hire is available at both airports. By Train: The West Highland line is operated by Scotrail and scheduled services stop at Glenfinnan Station daily. A sleeper service is available to Fort William from London Euston.